If you need to establish an economic case for ergonomics and safe patient handling, this article provides a blue print for doing so. Guest contributor Lynda Enos, courtesy of the Oregon Nurses Association, gives a detailed overview of how to make an effective business case that will result in fully funded and sustainable safety and ergonomics programs in health care facilities. Note from the editor: The Oregon Nurses Association is a leader in safe patient handling, and Lynda Enos, the author of the article that follows, stands out as a leader in both ergonomics and nursing. Lynda is the current president of the Board of Certification in Professional Ergonomics (BCPE), and an active member in the Oregon Nurses Association. While this article uses examples from Oregon, the message she shares is applicable to all regions. The following article is reprinted in its entirety with permission from the Oregon Nurses Association. Copyright © 2010 Oregon Nurses Association. Health care is the second-fastest-growing sector of the U.S. economy, employing over 12 million workers. Nurses and other health care workers face a wide range of hazards on the job, including, back injuries, needlestick injuries, latex allergy, violence, and stress. Rates of occupational injury to health care workers have risen over the past decade. By contrast, two of the most hazardous industries, agriculture and construction, are safer today than they were a decade ago (NIOSH, 2008). Additionally, as many as 50 percent of injuries may go unreported by health care workers (Menzel, 2008). Unfortunately, funding of programs related to improving reimbursement and delivery of patient care services often take precedence over employee injury prevention programs such as Safe Patient Handling. The consequence of not giving equal priority to employee safety programs can be costly for health care organizations. For example, in a health care system in Oregon, the top five injury claims related to manual patient handling cost $332,351 for workers compensation and medical treatment. By dividing this amount by the profit or operating margin of a hospital e.g. 4% the amount of reimbursement revenue needed to offset the cost of these 5 claims can be calculated, i.e., $332,351/0.04 = $8,308,775. Thus, prevention of these injuries has a significant impact on an organization’s financial bottom line (National Safety Council, 2006). for the organization (Nelson et. al, 2005). The following describes the costs and benefits that can be identified to build a business case for a comprehensive Safe Patient Handling (SPH) program. This approach can be used when building the business case for any ergonomics, safety or health program. Direct and indirect injury costs (e.g. cost of back injuries related to manual patient handling) are typically calculated in order to justify purchase of SPH equipment. However, the greater costs (and benefits of SPH programs) can be realized when examining the impact of manual patient handling on an organizations’ operational costs that is, the ‘costs’ that are ‘hidden’ as depicted in the picture [at upper right]. Direct injury costs account for money paid for medical bills, out of pocket expenses and compensation for time way from work; litigation and settlement costs; and vocational rehabilitation if required. According to Oregon DCBS in 2007 occupational injuries to registered nurses cost an average of $16,090 per claim. Using the direct cost of patient handling related injuries to justify implementation of a SPH program and purchase of lift equipment may be effective to a point, but these costs do not tell the ‘whole story’. Indirect costs are the costs associated with investigation and management of injury claims; and cost of temporarily replacing an injured nurse who is away form work or performing modified duty. Indirect costs are estimated to be at least twice that of direct costs. Employee safety and human resources departments can provide information needed to calculate occupational injury rates and associated direct and indirect costs in a facility. The cost of replacing nurses and other health care workers who cannot return to their job due to an occupational injury or those who choose to leave or transfer out of a unit because of heavy physical job demands. This includes cost to hire, train and orientate new staff. The Robert Wood Johnson foundation estimates the cost to replace a registered nurse is $90,000-145,000. Please refer to ‘The Cost of Nursing Staff Turnover and Cost Savings of Nurse Retention’ by Susan Link in the current issue of the Oregon Nurse and on the ONA website for more information. Lost productivity that occurs due to manual handling of patients, for example, finding extra staff moves a heavier patient. Conversely, staffing costs are increased when additional staff has to be provided to care for a bariatric patient when appropriate lift equipment is not available. Omission or delay in care that occurs when a patient is not repositioned in bed or ambulated due to lack of staff availability and difficulty of task e.g. when caring for a bariatric patient. This may have a negative impact on patient safety, such as increase in hospital acquired pressure ulcers and/or length of stay due to lack of mobilization etc., and a financial impact related to non- reimbursement by CMS. Other patient safety issues include the risk of skin tears, joint damage and falls when manually moving or lifting patients (Nelson et al, 2009). Compensating actions include the cost of sending injured nurses to bodymechanics training classes and conducting these classes annually for all patient care staff when evidence shows that ‘back injury prevention’ training alone has had no positive impact on reducing the rate of back injuries in the US (Nelson & Baptiste, 2006; Bohr & Weber 1998;Hignett et al 2003). Health care worker fatigue from the cumulative physical demands of patient care, working in chronic pain, and presenteeism can lead to other safety issues such as inattentiveness leading to task error and accidents from slips, trips and falls (ANA, 2006). Increased liability insurance costs may be associated with patient falls that are a result of manual handling (Stanford 2010). Lack of effort by an employer to address high rates of musculoskeletal disorders related to manual patient handling can lead to citations and fines by OSHA. Risk management and patient care quality departments can provide information about operational losses and potential costs. 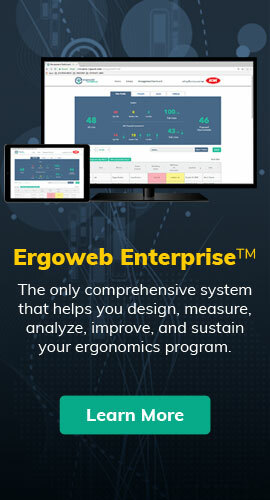 Some of the operational losses can be calculated or captured through ergonomics task analysis of patient care tasks and the use of staff and patient surveys. When making the business case for a SPH programs the full cost of injuries and operational losses should be calculated and compared to the full cost of the SPH program implementation and purchase of patient handling equipment. The time in years that it will take for the organization to recoup the cost of the SPH equipment and program can then be calculated, that is the Return on Investment (ROI) (Siddarthan & Nelson 2005). Costs for replacement supplies due to loss or theft should also be considered. Evidence shows that ROI for SPH programs ranges from 1-3 years. In addition, anecdotal evidence shows a reduced number of staff required to move and lift patients when the appropriate equipment is easily available and time to complete lifting and repositioning tasks is significantly reduced. For example at Good Shepherd hospital in Hermiston, the author observed that it took a nurse and an aide 45 seconds to move a 400lb patient from a chair to bed ( travel distance was 10 feet) using a ceiling lift and only10 seconds to remove the seated sling from the patient after the transfer. It is important to note that in the 2010 US Hospital Design Guidelines, installation of ceiling lifts are recommended when hospitals are being built. Cost increases 100% when ergonomics and safety features are considered after building is constructed or new equipment purchased versus being incorporated at the concept stage of design or purchasing (The Facility Guidelines Institute, 2010). Identification of true costs and benefits of ergonomics and safe patient handling can not only demonstrate the financial feasibility of these programs but can indicate to what extent these programs can make a contribution to the achievement of a health care organizations’ objectives. Menzel, N. (2008) Underreporting of Musculoskeletal Disorders among Health Care Workers: Research Needs. AAOHN Journal, 56 (12): 487-493. Siddharthan, K. & Nelson, A. (2005). A Business Case for Patient Care Ergonomic Interventions. Nursing Administration Quarterly, Vol. 29 Issue 1, 63-71. Retrieved July 6, 2009 at http://gateway.ut.ovid.com.liboff.ohsu.edu/gw1/ovidweb.cgi. Nelson, A., & Baptiste, A. S. (2006). Evidence based practices for safe patient handling and movement. Orthopaedic Nursing 25 (6), 366-379. Bohr, P.C,& Weber, J.W. (1998). Characteristics of worker education programs for the prevention of low back injuries. Journal of Back and Musculoskeletal Rehabilitation, 10, 13-22. Sue Hignett, Crumpton, E., Ruszala, S. Alexander, P., Fray, M. & Fletcher, B. (2003). Evidence- Based Patient Handling, Tasks, Equipment and Interventions. Florence, KY: Taylor and Francis Group. American Nurses Association. (2006a, December). Assuring patient safety: Registered nurses’ responsibility in all roles and settings to guard against working when fatigued. Washington, DC: Author. Nelson, A., Collins, J., Siddharthan, K., Matz, M., & Waters T. (2009). The Link between Safe Patient Handling and Patient Outcomes in Long-Term Care. Rehabilitation Nursing, Vol. 33 No. 1, 33-43. Cost Effectiveness of Safe Patient Handling programs at Stanford. In proceedings of Safe Patient Handling and Movement conference, 2010, Tampa, US. Siddharthan, K., Nelson A., Tiesman, H. & Chen, F. (2006). Cost Effectiveness of a Multifaceted Program for Safe Patient Handling. Advances in Patient Safety, 3, 347-358. Nursing Administration Quarterly, Vol. 29 Issue 1, 63-71. Retrieved July 6, 2009 from http://gateway.ut.ovid.com.liboff.ohsu.edu/gw1/ovidweb.cgi. Spiegel J, Yassi A, Ronald LA, Tate RB, Hacking P, & Colby T. Implementing a resident lifting system in an extended care hospital: demonstrating cost-benefit. AAOHN J. 2002;50(3):128–134. U.S. Government Accounting Office (GAO) (1997). Worker Protection: Private Sector Ergonomics Programs Yield Positive Results. GAO/HEHS-97-163, pp.137. Retrieved July 9, 2009 from http://www.gao.gov/products/HEHS-97-163. WA Department of Labor and Industries. (2006). Lifting Patients/Residents/Clients in Health Care Washington State 2005, Report to the Washington State Legislature House Commerce and Labor Committee. Olympia, WA. Retrieved July 9, 2009, from http://www.lni.wa.gov. Long-Term Effectiveness of “Zero-Lift Program” in Seven Nursing Homes and One Hospital. 1999. Wen, B. D. (2000). Preventing injuries using an ergonomic approach. Association of OR Nurses Journal, 72(6), 1031-1036. Wicker, P. (2000). Manual handling in the perioperative environment. British Journal of Perioperative Nursing. 10(5), 255-259. DHHS (NIOSH) Publication No. 2006-117. Cincinnati, OH: National Institute for Occupational Safety and Health. This article originally appeared in The Ergonomics Report™ on 2010-10-20.